more prevalent, more businesses are using QR codes as part of their marketing and communications. But what are QR codes, how do you create them, and how can you use them to better market your own small business? 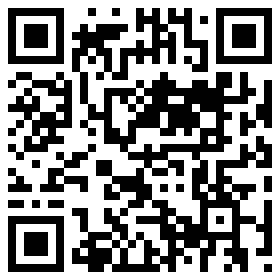 QR (short for “quick response”) codes are 2D barcodes that can be scanned and read by smart phones. Once read by your phone, they will redirect you to a website, send a text on your behalf, or provide directions via Google maps, among other tasks. How do you scan a QR code? If you see a QR code in the wild don’t be afraid. Just pull out your smart phone and use any free app for scanning QR codes just as you would use your camera phone; it’s just like snapping a picture. I use “QR Code Scanner Pro” on my BlackBerry, while some new phones have a QR scanner pre-installed. This will probably be standard on future smart phones. Once you scan or snap a picture of the code you will be redirected to a web page, shown a video, or generate an SMS text or call to someone…depending on what the QR creator set up. How do you use QR codes in marketing and communication? Although I’ve seen QR codes used in email marketing, on websites and on Facebook business pages, QR codes are most useful in the physical world. This is because a QR code placed in a direct mail piece, on a pizza box, or on a street sign allows the viewer to quickly connect to a wealth of information by scanning the QR code. Real estate agents could include a QR code on a for sale sign that takes people to a video of a walkthrough of the property. Retail shops could post QR codes next to products for in-depth reviews that have appeared on their blog. Companies could place QR codes on employees’ business cards, making it easy for people to connect with them on multiple social networks. Vineyards could include QR codes on wine labels. Restaurant patrons who enjoy the wine could scan the QR code to learn more about the vintage, vineyard, or even be directed to the online store where they could buy a case for home consumption. Will QR code marketing work for any business or non-profit? Like any marketing campaign, some businesses are better positioned to take advantage of QR code marketing. Since you need a smart phone with a camera, QR scanner and an internet connection, you need to decide if this reflects your target audience or not. And, as I mentioned above, QR codes are a great way of connecting the physical world to the internet. Personally, I don’t see the benefit of a QR code in an email newsletter. It would be easier and more user-friendly to just include a traditional text link as opposed to asking your reader to grab their phone, scan a QR code, and then view the resulting webpage on their tiny mobile browser. Can you include branding in a QR code? Surprisingly, yes. There’s a certain amount of error correction built into QR codes, so some companies have been adding a logo or other design elements into their QR codes. Just make sure that you test your “enhanced” QR codes before releasing them. A “broken” QR code will frustrate your audience and damage your brand. QR codes will continue to gain in popularity with the boom in smart phone usage. They are easy to create, and becoming easier for consumers to use. Depending on your business, you can use QR codes as another way to engage your audience, drive traffic to your website (or elsewhere), and build your business. If you’d like help developing a strategy for using QR codes in your own marketing, please contact Sesema PR.